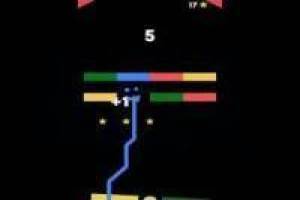 Color Slither is a fun skill game in which you will have to dodge obstacles, being able to pass only those with the same color. 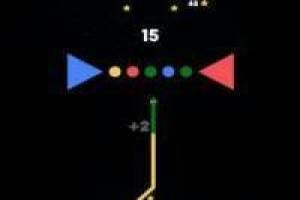 At the beginning we will have the snake of a color and the first thing we will find will be a thin line of another color, or it may be the same one that you are wearing at that moment. When you cross that line, your snake acquires the color of it and you will have to go through the obstacles of that color. Collect the stars and collect points as you advance to establish a high score. In the following attempts, try to improve your personal record and continue enjoying this great adventure. Share the game with your friends and remnants to improve your score. 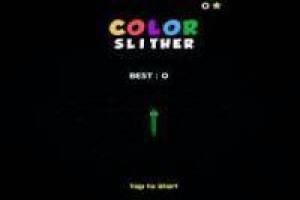 Enjoy the game Color Slither, it's free, it's one of our Ability games we've selected.